Protecting a facility from damaging leaks is an important part of any disaster mitigation plan. The LD5200 pairs superior leak detection technology with an easy-to-use interface. This integration helps users quickly and efficiently establish a distance-read leak detection system that monitors up to 10,000 feet of sensing cable and reliably protects valuable assets. The LD5200 was designed with the end user in mind. All basic device functionality is available from the LCD touch screen – configure, monitor, locate, and acknowledge leaks from the front panel of the LD5200. The LD5200 can be used as a stand-alone device without sacrificing any leak detection or alarm notification functionality. 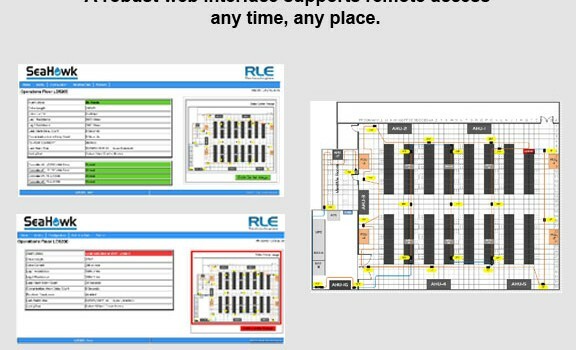 Once the LD5200 is connected to a network, a robust web interface expands the capabilities of the unit. 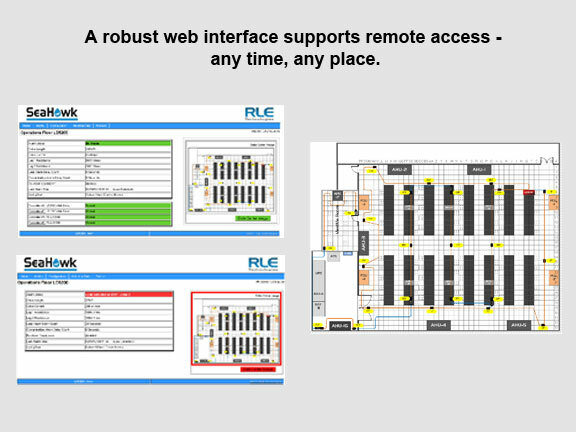 Use the web interface’s interactive facility mapping tool to create an interactive overlay that displays on top of an uploaded floor map image. When a leak is detected, the LD5200 displays its location on the map, making leak location quick and easy. While the LD5200 can function as a stand-alone device, it also has powerful integration capabilities. Multiple communications ports allow the LD5200 to act as a master for a wide variety of related slave devices. The highly scalable LD5200 can provide leak detection and notification for an entire building through one IP address. 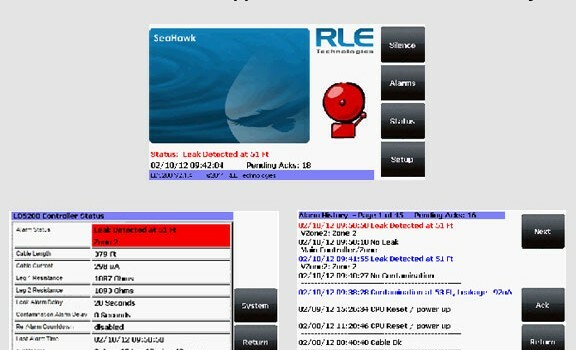 It can also seamlessly integrate into a BMS or NMS. The LD5200 is ideal for applications that require a stand-alone system that can also be integrated into a larger centralized monitoring system. Power: Requires a dedicated circuit within close proximity, marked as the disconnecting device for the LD5200. Analog: 4-20mA Loop Powered, 18-36VDC, RL = 500 Ohm max. 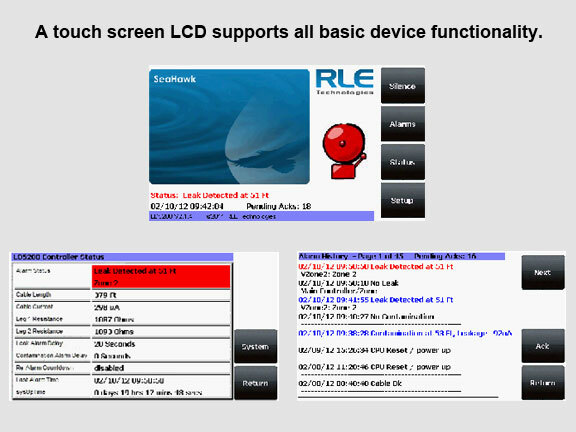 LCD Touch Screen: No password required to view controller status and data. Administrator password limits access to configuration options. Web Interface: Username and password can be configured.